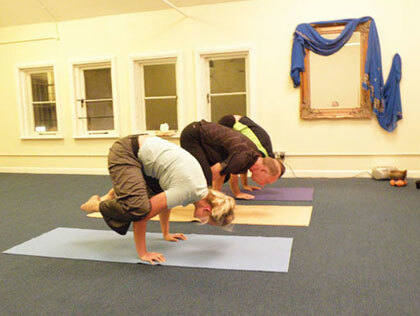 Developing in Practice / Advanced level Hatha Yoga is suitable for those with a minimum of 2 years experience. Working into and developing a variety of more advanced postures, building concentration and core strength. These classes enable the student to explore and develop their own personal practice. Students will have the opportunity to practice a wide range of postures including:- Adho Mukha Vrksasana (Hand Balance), Salamba Sirsasana (Head Balance) and Pinca Mayurasana (Elbow Balance).